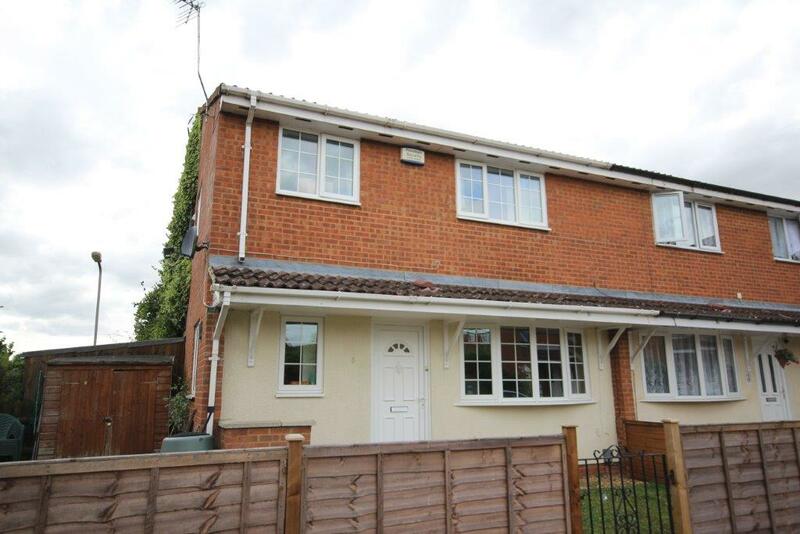 Locke Close , Aylesbury...a great buy? I sold many of these flats from new when they were first built and from memory they are not very big but they do represent good value and have the unusual benefit of a garage. I have no connection with this property nor the sellers but thought readers of this blog would like to know that this is an available opportunity. The ground rent and management fees are ok and this one has a tenant in occupation already paying £550pcm, £6600pa. This gives a healthy yield of 7.17% based on the guide price of £92,000 (Aylesbury average 4%). You may have to pay slightly over the guide but equally the rent is a little below market levels and could presumably be increased to a higher level in time. Remember the rules...the higher the yield the lower the capital growth. However if you are just starting to invest, want to add some variety to your portfolio and/or have a limited budget this is not a bad place to start. Aylesbury property values rose by 0.6% last month, meaning they are 10.4% higher than 12 months ago. Expect future property price growth to remain firm, built on the foundations of an improving labour market, strengthening economy and very low mortgage rates. In fact, talking to a number of other agents in the town, mortgage brokers and solicitors (all of whom have their finger on the pulse of the Aylesbury property market), the steady long term growth in Aylesbury property prices is not about to change. It is tied in by strong demand conditions so far this summer, alongside an underlying lack of supply and the continued low mortgage rate environment. This means the steady upward momentum of the Aylesbury property market is likely to continue throughout the second half of 2015. However, there are a couple points I wish to highlight as I like to give a balanced opinion of what is happening in the Aylesbury property market. The two main points being low interest rates and a lack of supply of property. Interest rates first - Mark Carney (Chief of the Bank of England) said in a speech a few weeks ago at Lincoln Cathedral, the Bank will be seriously considering raising interest rates around Christmas time. An upward movement in interest rates will temper demand and could result in a marked slowdown in house price growth. Mr Carney said that only six out of ten people that had a mortgage (57% to exact) had a variable rate mortgage, compared with more than seven out of 10 people (73% to be exact) in the Summer of 2012. Now I am not a mortgage broker and cannot give advice, but rates are only going in one direction, so whether you are a landlord or homeowner, this might be a time to consider fixing your mortgage rate? Don’t say I didn’t warn you! Tie this in with the stricter mortgage lending rules which were introduced in 2014, which affected people’s ability to obtain larger mortgages, this means homeowners will need to be realistic in their pricing if they want to sell. Reading other recent reports though, property owners have continued to pay off mortgages at a faster rate while mortgage rates have been low. Therefore, when mortgage rates rise, the affect on home movers sentiment , given the shortage of supply, could result in a marked slowdown in the rate of house price growth. I am not suggesting prices will fall, just the rate of increase will slow. Shortage of Supply – As I have mentioned in previous articles, the number of houses on the market in Aylesbury is at an all time low. My sales colleagues are suffering from a lack of stock, increased price expectations as well as a downward pressure on fees…because of course selling houses is easy in this climate! One reason for this is the large number of buy to let landlords who have bought Aylesbury property over the past fifteen years. Unlike first time buyers who tend to move on after a few years, landlords tend to keep their properties long term, meaning there are fewer properties coming onto the market from first time sellers ... thus restricting supply and sales. In fact over the last four months, only 2,443 properties in the Buckinghamshire area have changed hands and sold, compared to 2,839 in the same time frame in 2014, a not insignificant drop of 13.95%. Many people think the British obsession with owning your own home started with Thatcher in the early 1980’s, when she allowed council tenants to buy their council houses under the right to buy scheme. However, the growth actually started just after the Second World War. Looking at the country as a whole in 1951 30% of residential property was owner occupied then, every ten years that rose incrementally to 39% by 1961; 51% by 1971; 58% by 1981 and 68.07% by 2001 but after that, it dropped to 63.4% by 2011 and continues to drop today. Young adults tend to start to think about settling down and moving out of the family home in their early-mid twenties. After a couple of years, they will have a choice of either buying their first house (albeit with a mortgage) or decide to privately rent for the long term (because the Council House waiting list is measured in decades at the moment!). The ratio of people owning a house with a mortgage versus privately renting is an extremely important guide to what people are doing about their housing needs and what their attitude to renting vs buying is. Within the next ten years, I predict there will be more people renting privately in Aylesbury than own a property with a mortgage and that the British love affair with property ownership will fade as the decades roll on. This is a really important change in the way we live, as I explained to a local Aylesbury landlord the other day, knowing when and where the demand of tenants is going to come from in the coming decade is just as important as knowing the supply side of the buy to let equation, in relation to the number of properties built in the town; Aylesbury property prices and Aylesbury rents. In the Aylesbury Vale District Council area as a whole there are 8,096 households that are privately rented via a landlord or letting agency versus 28,695 households that are owned with a mortgage, so my prediction appears to be outrageous. However, when we look deeper (as the devil is always in the detail), 14,262 of those 28,695 households are 35 to 49 year olds and 9,053 are households of 50 to 64 year olds. I would expect all the 50+ years to be paying their mortgage off as they enter retirement as I would with some of the people in their mid/late 40’s. Meanwhile, at the other end, in the 25 to 34 age range (the age most people bought their first home in the 1970’s/80’s/90’s) only 3,781 of the 6,324 households occupied by those 25 to 34 year olds are owner occupiers with mortgages, because 2,543 households are privately rented. This means only 59.7% of 25 to 34 year olds have bought their house (with a mortgage). Twenty years ago, that would have a much higher percentage of homeowners (between 75% to 85%). It can be seen that as the older generation pay their mortgages off as they start to get to retirement and the younger generation aren’t jumping on the property ladder like they were 20 or 30 years ago, the private rental sector will take up the slack as more and more people will want a roof over their head, but won’t buy one but rent one. With Local Authorities and Housing Associations not building houses anywhere near like the number of houses they were building in the 1950’s, 60’ and 70’s, the private landlord appears to have good demand for their rental properties for many decades to come. This will create a polarisation in the housing market between those, mostly older, households who own outright and those, mostly younger, households who rent. Our housing market is very much turning into the European model. However, all is not lost, the younger generation will inherit their parents properties, which in turn will enable them to buy, albeit later in life. 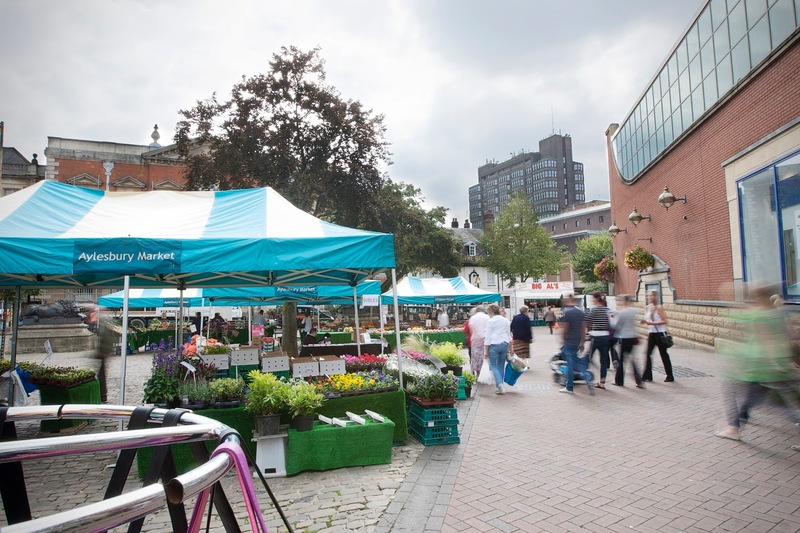 Despite the UK economy heading in the right direction with record low mortgage rates and unemployment figures dropping, the rate of property prices rising in Aylesbury has slowed since the start of the year. Property value increases continue to outpace the growth in salaries, however the gap is closing, helped by a lift in salaries over the last 6 months. Property values in the South East region as a whole are 9.1 higher than a year ago. Compare this to the neighbouring regions of the South West at 3.6% higher and West Midlands at 3.5%, the majority of the country continue to see annual house price gains - the exception being Wales which recorded a slight decline of -0.6%. Even with the tempering in house price inflation, it does not necessarily change my outlook that property prices are likely to be firmer over the second half of 2015 amid heightening activity in the Aylesbury property market. As stated in a previous article, there is a current shortage of properties on the market, restricting supply, which in turn will provide stability and support to Aylesbury property prices. Therefore, my overall opinion is that Aylesbury property prices will rise by 6% over 2015 and roughly the same in 2016. Property investment is a long term business. Buying the right sort of property is vital. I have recently been speaking with a number of Aylesbury landlords about the importance of a balanced portfolio, when buying and renting out property. The balance between buying properties that offer good monthly returns (high yields) but quite often offer poor capital growth (i.e. they don't increase in value that much over the years compared with the average) versus properties that do go up in value quicker but often offer a lower yield. So, what type of properties have performed best over the last few years in Aylesbury, especially in terms of their capital growth? Did someone mention Liquorice Allsorts? 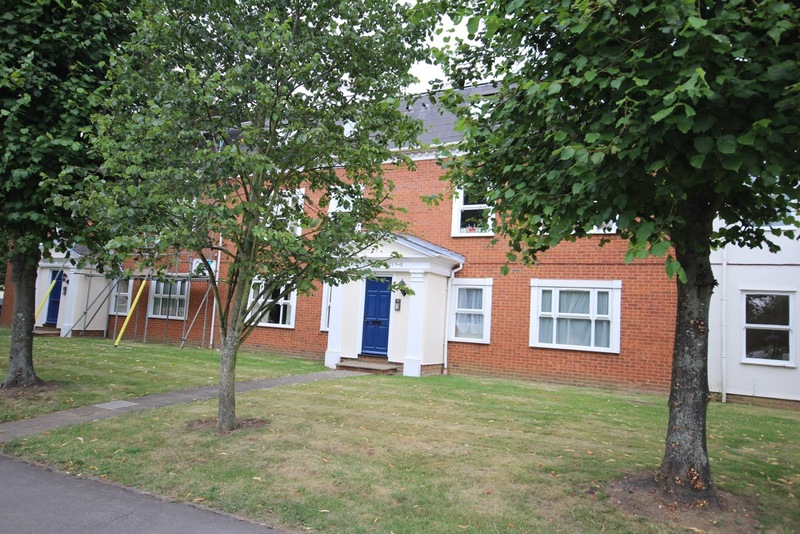 A great investment purchase in Garron Close, Aylesbury. 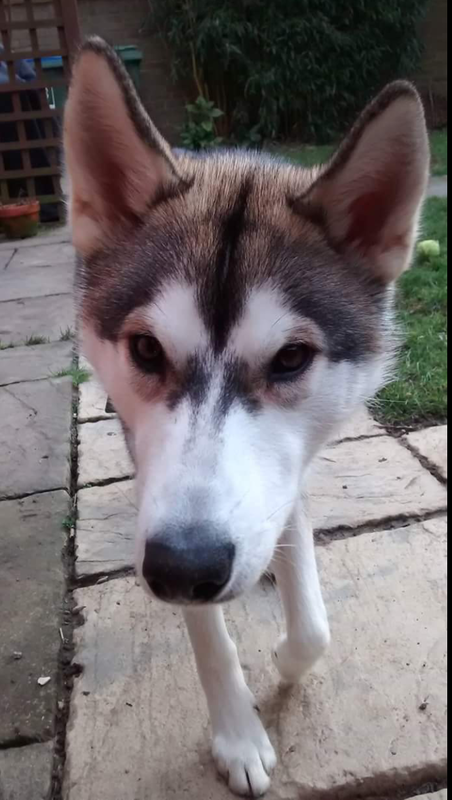 This appeared on Rightmove a few days ago at £190,000 and I thought it was pretty good value, expected it to sell in a few days. It has now been reduced by £15,000! It is not being marketed by us so I have no idea what it is like inside...there are no internal photos so probably needs a good tidy up inside as does the garden. But this is a modern two bedroom house with garage at a bargain price. Likely rent for £800+PCM in good order giving a return of 5.48% gross so it really does work as an investment (average return for this area is 4%). You can get further details by contacting the selling agent via the Rightmove link...this is not on the market with Mortimers. The property is situated on the sought after Watermead development which can be found on the northern outskirts of Aylesbury. 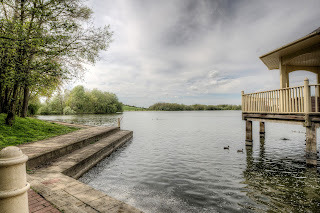 The development is based around two picturesque lakes and a central piazza which offers a range of individual shops and a public house/restaurant. The development is served by a regular bus service providing quick links into Aylesbury town centre. A rarely available two bedroom apartment which has been tastefully refurbished and is presented to a very high standard. The property benefits from entrance hallway, refitted kitchen and combination boiler, lounge/dining room, two bedrooms, bathroom, security entry system, allocated parking. The property, in the valuers opinion, is an ideal opportunity for first time buyers and investors. Viewing is highly recommended. This excellent property should let readily at around £800pcm which at asking price £179,950 will give a return of 5.3% gross. If you would like to discuss this property or others that you may be interested, need to know the property types that give the best return or anything else lettings related please give me a call Ian Davies 01296 398555 or pop in to see me in our Temple Street office when you are passing. My coffee is not great but I will be able to give you sound local advice . George Osborne – The Aylesbury landlord’s friend? 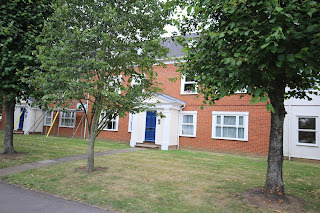 Well the last few weeks have been rather hectic as Aylesbury landlords, some who manage their properties via us and other landlords who just read our Aylesbury Property Blog, have been sending me emails or picking the phone up to me about the new rules on buy to let taxation announced in the recent budget. George Osborne confirmed in the recent summer budget that the tax relief given to landlords on mortgage interest payments, on their buy to let (BTL) properties, would be reduced over the coming years for higher rate income tax payers. The Chancellor said the tax relief that private buy to let landlords (who pay the higher rate of income tax) would change in 2017 from the current 45%/40% and would steadily reduce over the following four years to the existing 20% by 2020. 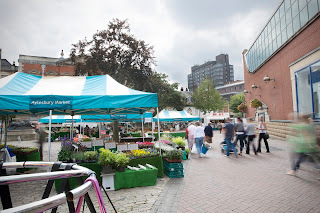 With 16.3% of residential property in Aylesbury being privately rented (as there are 4,701 privately rented properties in the town), these changes are potentially something that will not only affect most Aylesbury landlords, but also the tenants and the wider property market as a whole. The choice of rental properties could drop, especially at the top end of the market, which could push up rents. However, Aylesbury landlords could protect themselves by reassigning one or more rental properties into a company structure (e.g., a Limited Company, Partnership or Sole Trader) and by doing so, the total tax paid is greatly reduced, because a company only pays tax on the profit. Nonetheless, before everyone goes off setting up companies for their BTL portfolios, it must also be noted, if a sole trader firm is started, stamp duty needs to be paid, yet if the owner is in business with a partner, they could enjoy some stamp duty relief. The biggest tax variation is Capital Gains Tax (CGT) where the tax bill will be much higher when you come to sell your portfolio. In essence, by going into business with your BTL properties, you will potentially have a modest stamp duty to pay when you start, but you will have a lot less monthly tax to pay, irrespective of the interest rate, but the CGT bill will be much higher when you come to sell ... as you can see, it is not a ‘get out of jail card’. Now it must be remembered, I am not a tax advisor, so you must take advice from a qualified person . Those planning to purchase a BTL property will have to factor these new rules into their calculations, and this could affect the offers they are willing to make. However, I am not that concerned, as the scaremonger reports fail to see the fact that two out of three BTL properties that have been bought since 2007 have been purchased without the support of BTL mortgage. With those two thirds of landlords paying cash for the purchase of their rental properties, that means two thirds of landlords will be totally unaffected by the changes. So what of the future? The British love their Bricks and Mortar; it’s an asset that they can touch and feel and has a 70 year track record of capital growth that has out stripped inflation. Buy to let will still be attractive to Aylesbury investors and let me explain why. If you invested £80,000 in Aylesbury property in September 1987, today it would be worth £314,836. If you had invested the same £80,000 in to the London Stock Market (the FTSE 100 to be exact), it would be only be worth £229,012 today, whilst Inflation would have taken the original £80,000 and pushed it up to £166,254. It’s true some central London landlords relying solely on the tax breaks rather than high yields may be forced out of the market, but even those landlords could seek to recoup any losses by increasing rents. However, those landlords may leave the market and this could constrict the availability of rented houses even more than it is already, increasing rents and thus pushing yields even higher for landlords and BTL investors still in the market... thus attracting new landlords into the market because of those higher yields. The reality is, there is too much demand and not enough supply of homes for people to live in in the town. Official figures show the population in the Vale of Aylesbury is rising by 838 persons per year (i.e., demand rising), but only 488 properties are being built each year (i.e., supply is low). This sets up the Aylesbury (and UK) property market to continue to create strong and steady returns, irrespective of any tax loophole being there (or not as the case maybe). I have had so many calls from landlords that I am likely to organise an informal seminar with a local Aylesbury accountant, whereby they can show you the options available and what might be best for you. I am sure many of you are of the same opinion as me…pay my taxes fine but not a penny more than I have to! If you are interested in attending, please drop me an email ian@mortimersaylesbury.co.uk and I will be able to get something organised. Tolman Court is a two bedroom cluster house on the Willows off Oxford Road and has the benefit of being offered with no upper chain. Downstairs there is a good sized lounge with wood laminate flooring as well as a modern fitted kitchen. On the first floor there is one double and one single bedroom as well as a bathroom with white suite. The property benefits from double glazed windows throughout, enclosed gardens which extend to the front and side of the property and allocated parking for one vehicle. Used to own one here myself many years ago. There are pylons nearby but I don't see this as a problem...it does not stop tenants letting and these always resell as they represent good value. So long as you are not over paying when you buy ( others are on the market at £180,000 and more ), you can afford to sell at the right price when you come to sell in later years, as I did. Rent would be around £725 giving a gross return just shy of 5% better than the Aylesbury average of 4%. Aylesbury Landlord’s mortgages top £263 million! We can’t stop talking about property. The hot topic of discussion at the dinner parties of Aylesbury’s movers and shakers is the subject of the local property market, but in particular, buy to let property. These investors are buying up buy to let properties quicker than an ace Monopoly player. So is the buy to let market a sure fire way to make money? Is it something everyone should be jumping into? The answer is Yes and No! Firstly, the government gives tax breaks to landlords, as it allows the mortgage interest payments on a buy to let property to be tax deductible. Also, a landlord only has to flick through Rightmove or Zoopla, pick any property at random and agree a price. Then, find a modest deposit of 25% (often by remortgaging their own home) which for an average Aylesbury terraced house, would mean finding £54,735 for the deposit (as the average Aylesbury terraced house is currently worth £218,941) and borrow the rest with a low interest rate interest only buy to let mortgage. Finally, the landlord would rent out the property in a matter of hours for top dollar and live happily ever after. With the rent then covering the mortgage payments, with loads of money to spare and come retirement have a portfolio of property that would have quadrupled in value in fifteen years. Sounds wonderful – doesn’t it? Or does it??? Let us not forgot that the half of one per cent Bank of England base rate is artificially low. The international money markets can be fickle and if interest rates do rise quicker and higher than expected because of some unforeseen global economic situation, that monthly profit will soon turn into a loss as the mortgage will be more than the rent. Even though tenants are staying longer in their rental property, tenants still come and go and my guidance to landlords is they should allow for void periods, plus the maintenance costs of a rental property and of course, agents fees. .. All things that eat into that profit. Interestingly, by my calculations, there are approximately 1,407 Aylesbury landlords owing in excess of £263 million in mortgages on those Aylesbury buy to let properties. An impressive amount when you consider Aylesbury only has 0.132% of all the rental properties in the country. It really does come down to a number of important factors to ensure you are water tight for the future. A lot of my existing landlords are fixing their mortgage rates. One told me that the Metro Bank are currently offering a 5 year fixed BTL remortgage rate at 3.79% (based on a 75% loan). I don’t give financial advice, so you must speak with a qualified mortgage advisor... but that sounds pretty good to me! However, one thing I do know is that buy to let is a long term investment, it’s a ten, fifteen, twenty year plan and property prices will go down as well as up. You wouldn’t dream of investing in the stock market without advice, so why invest in the Aylesbury property market without advice? 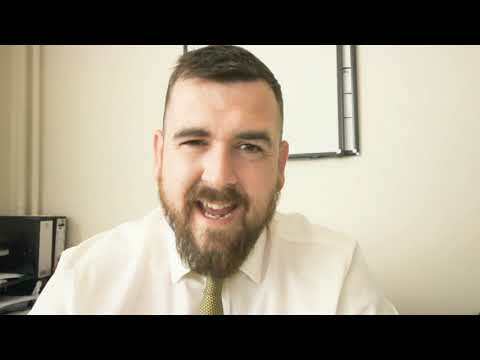 I give bespoke detailed advice to landlords to enable them to spot trends in the Aylesbury property market before others, enabling them to buy better properties at better prices. I can advise on which properties will go up in value better (or lose less if property prices drop), I can also advise which have lower voids and which properties have higher maintenance issues. Information on the local property market and ability to process it is the strongest asset I can give you. As Lois Horowitz, the famous author says, ”Not having the information you need when you need it leaves you wanting. Not knowing where to look for that information leaves you powerless. In a society where information is king, none of us can afford that”. 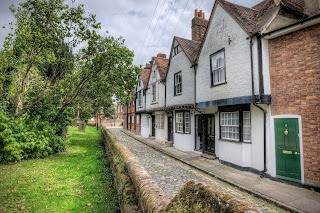 One place to find information on the Aylesbury Property Market is the Aylesbury Property Blog, where you will find many articles just like this. Alternatively you can stop by my office in Temple Street when you are next in town for an informal chat without any obligation at all.